ELMHURST – A three-hour stream of people paying for the next person in line at the Finance Counter of Elmhurst City Hall came to an abrupt ending around 12:15 p.m. Thursday when a local resident accepted the “act of kindness” from the stranger in front of him but declined to continue the favor, breaking a remarkable streak of 58 consecutive customers who participated in the impromptu “Pay It Forward” campaign that is typically seen in the drive-thru line of various Starbucks locations around the country. 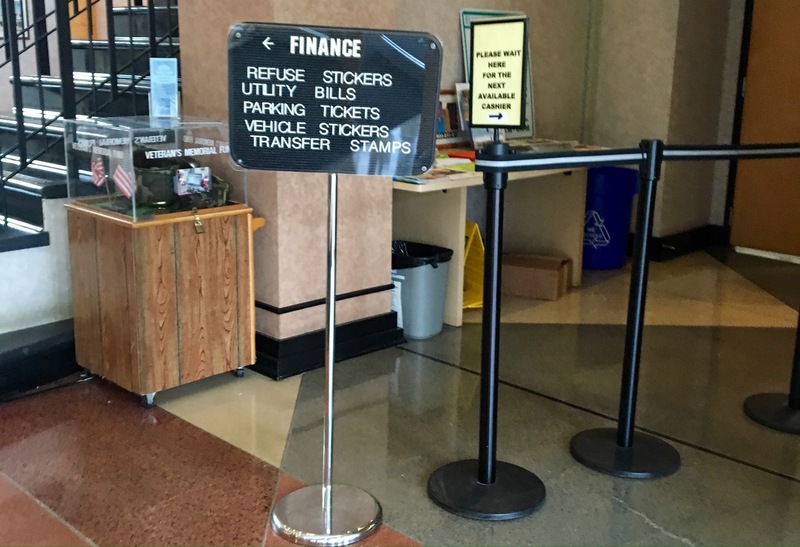 The string of paying the fee or debt for the next person in line began around 8:50 a.m., when a woman purchasing refuse stickers turned to the next person in line and asked if she could pay for his parking ticket, according to Finance Counter cashier Teresa Brinkman. Noting that nearly everyone smiled and said “thank you” upon hearing that the person in front of them wanted to bear the cost of whatever it was they were there to pay for, Brinkman said there were mixed reactions when the recipient was then asked if he or she wanted to return the favor. Despite the oddity of the phenomenon and the varying amounts of money spent, people continued paying-it-forward for more than three hours, until S. Stratford Avenue resident Dan Banks terminated the streak by accepting the offering from the woman in front of him but refusing to pay for the transfer stamp of the person behind him.